We just launched our database builder service for creating databases to help track the status, location, and condition of assets in real-time. With this service, clients can build a mobile database from scratch or add to and edit existing databases using smartphones and tablets. What Does a Mobile Database Entail? 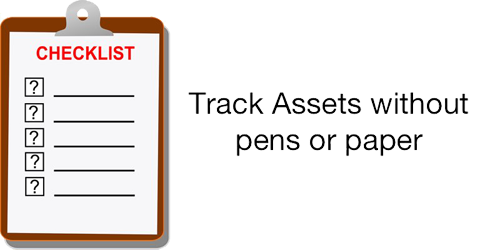 Applications include the tracking of fixed assets, such as medical instruments, servers, computers, phones, and machinery, or virtually any asset in transit. Once built, clients can update their asset databases directly or use codeREADr’s validation database for applications requiring more sophisticated data collection options and data filtering. Clients can print their own labels or use the labels already affixed to the asset. The codeREADr app enables the device’s own camera to accurately scan barcodes. Alternatively, clients can pair the app with barcode scanning accessories or bump tags using NFC. “We learned that the demand for real-time asset tracking was huge but the cost to implement a significant roadblock. We removed that barrier by enabling clients to use our cloud-based servers and the devices they already have in their pockets,” said Rich Eicher, CEO of Skycore on the new mobile database builder service. “With real-time monitoring of asset location, condition and status, clients can record data and subsequently initiate actions based on this data, including alerts, repairs and other dispositions,” added Eicher.